Kristen really supports her Ohio teams… Browns, Indians, Cavaliers and OSU Buckeyes. She says that Josh Cribbs (Cleveland Browns) is amazing to watch and has awesome hair. 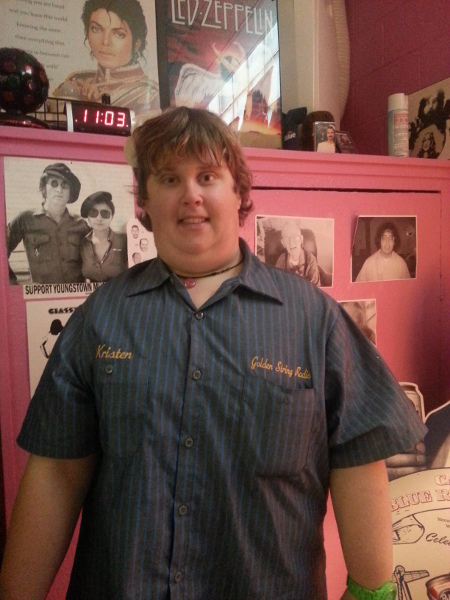 Kristen enjoys Facebook and cruising the internet in general. She loves most styles of music and calls Queen her favorite group. It’s important to know that Kristen can really cut it up on the dance floor. Some of her favorite foods are pineapple upside down cake and pizza. Kristen would love to visit Italy one day.